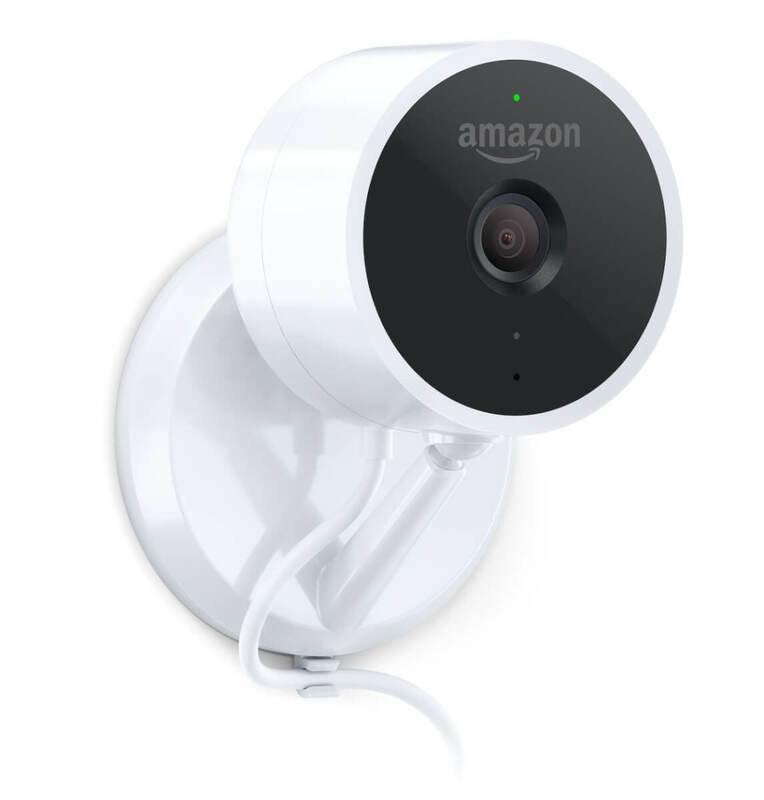 In an effort to completely own the smart home, Amazon recently announced their first security camera: the Amazon Cloud Cam. 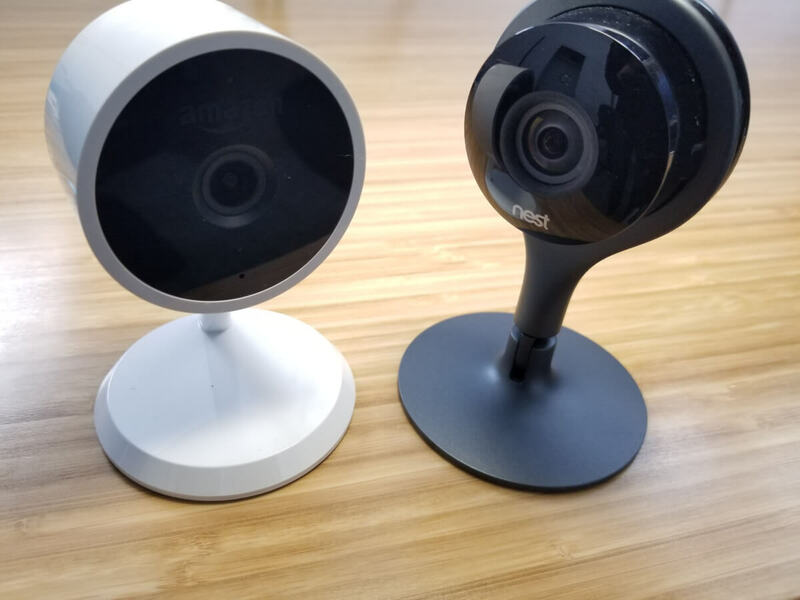 Since it has very similar specs to the Nest Cam, we want to compare Amazon Cloud Cam vs Nest Cam to find the differences and an overall winner in the end. Affiliate Disclosure: This page contains affiliate links, which earn us commission at no cost to you. 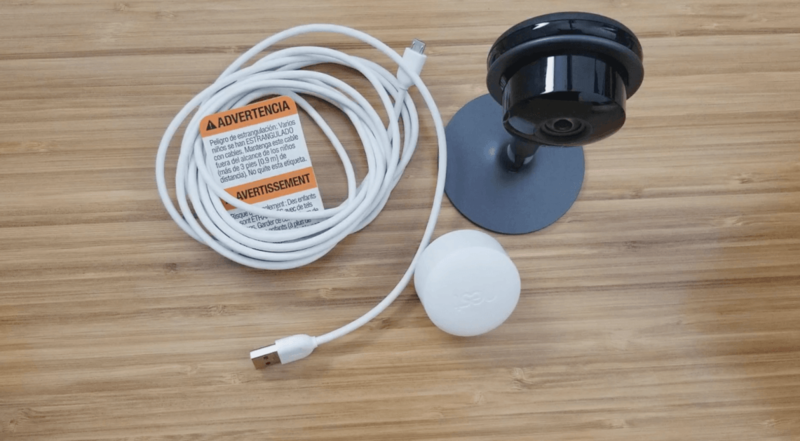 The writers of this blog received a free sample of the Nest Cam for review. They were not compensated in any other way. The opinions are 100% their own and not influenced. Both cameras come with a wall mount and screws for easy installation. They plug into an outlet for power, with 10 foot long power cords included. Neither one operates on batteries. For a battery-operated camera, check out Arlo Pro. These cameras are both very simple to setup. Plug them in, download the app, and sync the camera with the app. We didn’t run into any issues while setting up either of these cameras. When we initially opened these cameras, we immediately noticed that Nest Cam has a higher quality look and feel. It’s metal, and the base bends and twists easily. It also has a magnet on the bottom. Cloud Cam is plastic and feels cheap. You can only rotate it to certain angles. Separate from the Alexa or Amazon Shopping apps – You have to download the Cloud Cam app. Works in the same app as Nest thermostats, Nest Hello, Nest Secure, and other Nest products. The Nest app is very easy to use and beginning to function as a controller for your entire smart home. It’s designed well and it’s nice to see the live feed of the camera whenever I opening the app to adjust my thermostat. While the video quality of these cameras should be very similar since they both have 1080p, we were surprised when we tested them to find that the quality was very different. 1080p HD, but in our tests in didn’t look like 1080p. The footage was very blurry and unclear. Night vision was brighter without washing out the image, illuminating faces more clearly than Nest. 1080p HD. The footage was reliably clear and high quality. It almost looks like a photograph sometimes because of how clear it is. Night vision performed poorly in our tests. The images were washed out and faces were indistinguishable. While Cloud Cam has better night vision according to our tests, the Nest Cam still comes out on top due to its superior quality of footage. When you compare the footage side-by-side, it’s really incredible how much clearer the Nest Cam footage turns out. Even if Nest’s night vision is less illuminating than Cloud Cam, the quality of footage is a stark enough difference that Nest is still the winner of this category. Both security cameras offer two-way talk with a speaker and microphone, making it easy to talk to someone within the camera’s line of sight. We tested the speaker and microphone on each camera and were surprised to find a few key differences. Speaker is loud and very clear. It sounds similar to an Echo Dot. Microphone is clear and picks up audio well, even from a distance. Speaker is clear, but slightly muffled like a walkie talkie. Microphone is quiet when recording subjects far away from the camera. Both the speaker and microphone on Amazon Cloud Cam outperformed Nest Cam’s audio. 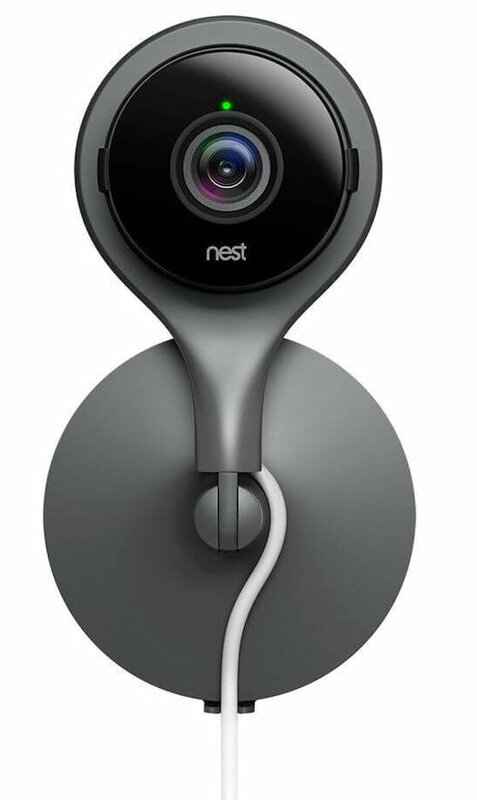 Nest Cam wasn’t awful, but it was certainly difficult to hear recordings from the microphone. Both cameras alert you for either motion or sound. Nearly-instant push notifications. The alerts came in quickly, which is obviously critical if someone is intruding your home. Customize your notifications. Within the app, you can specify if you want to receive notifications every time there’s motion, every 10 minutes, or at other intervals. Slower notifications. The app consistently notified us around 10 seconds after Cloud Cam did. Alerts come every 30 minutes. Love it or hate it, Nest doesn’t allow you to customize how often the alerts come in. While it’s nice to not receive nonstop alerts for motion or sound, it’s unfortunate that you can’t edit this feature like Amazon offers. It doesn’t really make sense that Nest won’t let you edit how often you receive notifications from motion and sound. Since its notifications were also significantly slower, Cloud Cam definitely has superior notifications. 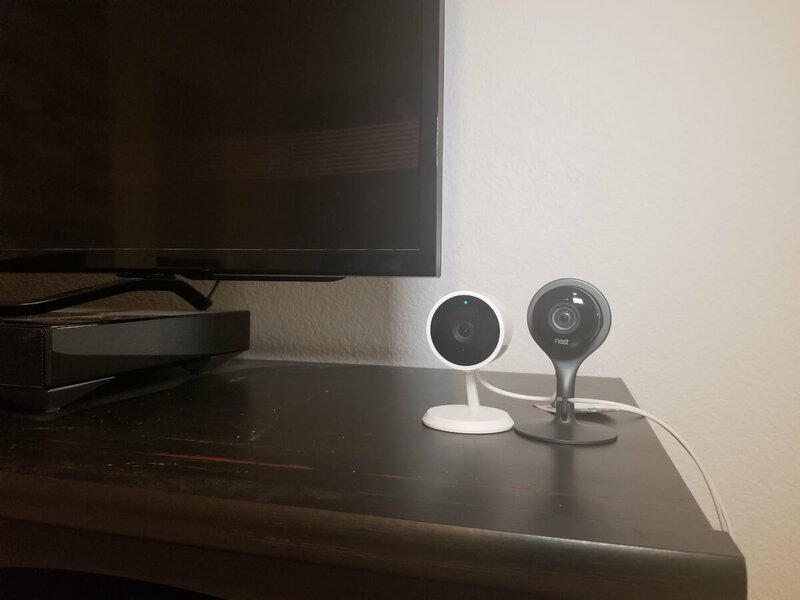 Both cameras in Amazon Cloud Cam vs Nest Cam allow for live streaming to the cloud, so you can view the footage on your smart phone or other devices. When it comes to storing clips, that’s where the differences come into play. Free plan: 24 hours of clips can be stored without paying any monthly fees. This makes it usable without a monthly subscription. Subscription plan features: person detection, motion zones, and clips. No continuous video recording. You can only download short clips from when motion was detected. In our testing, the cameras were triggered quickly since they are plugged in. There wasn’t any missing footage, but it’s still more of a snapshot rather than a comprehensive timeline. Free plan: 3-hour snapshot history. No video clips are offered on the free plan. This means that Nest Cam is not really usable without a monthly subscription. Subscription plan features: intelligent alerts, activity zones, and clips/time lapses. With Nest Aware, you get 24/7 continuous video recording. That means if you pay for the 5 day plan, you can go back and review any minute of the past 5 days since it’s constantly recording. This is a huge plus for Nest Aware. Picking a winner on this one is a little complicated. Cloud Cam has a better offer for free cloud storage. It gives you up to 24 hours of clips for free. Nest only provides a measly 3-hour history of snapshots, which is basically nothing. Only reviewing images is not nearly as helpful as clips; plus, the 3-hour window won’t even cover something happening overnight. If you don’t want to pay monthly fees, go with Amazon Cloud Cam in this roundup. But if you plan on paying monthly storage fees, then Nest is the best option. That’s because Nest offer 24/7 continuous recording, which is a huge perk. I wasn’t sure if I would need that much storage, but it’s been way more convenient. If I want to see specific footage, instead of scrolling through clips I can just go to yesterday at 4pm. Compatible with Amazon Key. If you purchase the Key Edition of this camera and own a compatible smart lock, you can watch the delivery of packages inside your home on the Cloud Cam. Doesn’t work with any other smart home devices. Works with WeMo, Hue, LIFX, Lutron. Set your smart lights and Nest Cams to “away” when you leave. Works with August, SkyBell, Yale, and other home security platforms to keep your home safe. Each camera has unique smart home features, but we have to give this category to Nest Cam. The Nest platform is so broad, making it easy for Nest Cam to work with many smart home gadgets. Amazon Cloud Cam is still a good option, especially for those who are Alexa-obsessed. You can check on your cameras using the Echo Show or Spot, or receive packages inside your home with the new Amazon Key service. 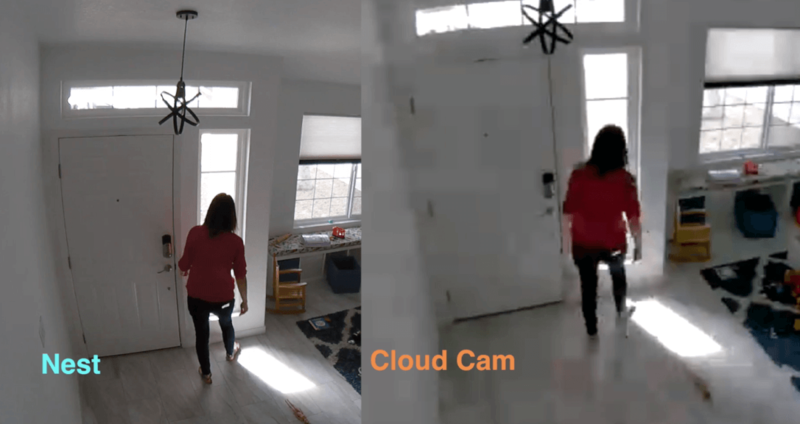 While it will be interesting to see how Amazon Key pans out in the long term, it’s nice that the Cloud Cam is compatible with the service and an option for down the road. Note that if you want this functionality, you have to make sure you buy the Key Edition of Cloud Cam. The winner of Amazon Cloud Cam vs Nest Cam is… Nest Cam! In the end, Nest Cam is has an edge over the Amazon Cloud Cam. Its high quality footage, 24/7 video recording as part of Nest Aware, and compatibility with plenty of smart home gadgets make it stand out. It works seamlessly within the same Nest app that controls the original Nest (which we also tested as a baby monitor and found to be very user friendly). All of that being said, the Amazon Cloud Cam is cheaper than the Nest Cam. If free cloud storage is a high priority to you, then don’t ignore the fact that it offers 24 hours of clips for free. If you are an Alexa user, then you can make your home smarter by streaming your camera footage on a Fire TV, Echo Show/Spot, or as part of Amazon Key. In the end, Amazon Cloud Cam vs Nest Cam comes down to your unique home, technology, and cloud storage preferences. Which camera do you pick?